Recently, I have been trying to condense all of my pictures into one location (which is proving to be a tad bit more work than I thought). 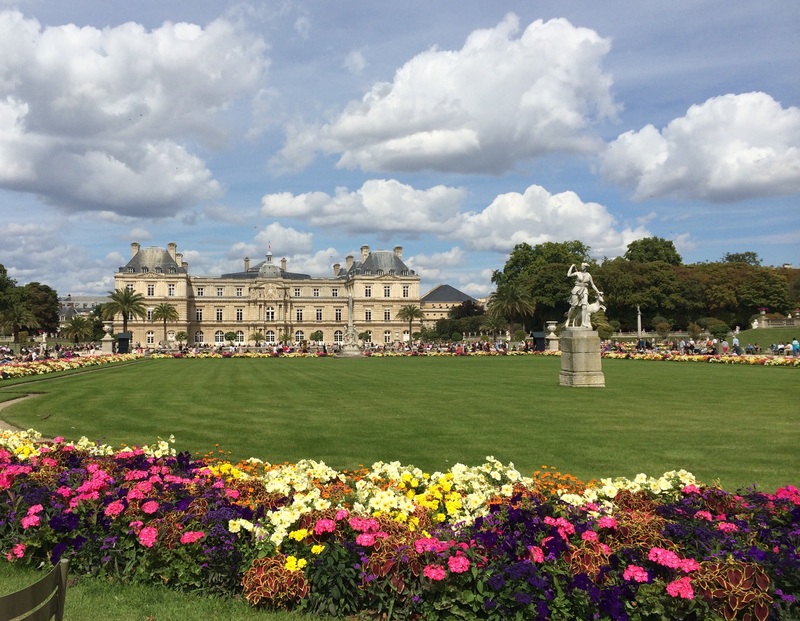 As I was organizing the pictures, I stumbled across the pictures from when my mom and I visited Luxembourg Gardens in Paris, France. The gardens were absolutely beautiful with vibrant flowers and immaculate gardens. After we spent time in the gardens, we finished walking around and started to plan where we would go for lunch. As we headed out, I saw an older couple near the garden entrance with the wife trying to take a picture of her husband. Although my mom was with me, her voice was in my head reminding me like she always has, “Always offer to take someone’s picture.” I asked the lady if she wanted me to take a picture for them which she replied in her (adorable) British accent, that she would love that. The second the words came out of her mouth, her husband replied “I did not say I wanted to take a picture with her.” They both just laughed. I instantly loved this couple. My mom and I ended up talking to them about where they are from, their views of the US, our government, their travels and how long they have been married. They had been married over 50 years and were traveling around the world together. We enjoyed talking to them for over 20 minutes before I walked away smiling and txtng the hubby to tell him how I wanted to be like that couple when I was older. Meeting new people in different places is one of the best things about traveling. Not only have my international travels led me to meet some amazing people but my US travels have been entertaining as well. My husband and I sat next to a world-traveling Westminster Kennel Club Show Winner who shared his life story about his divorce, raising dogs, music and travel. When in Rome (literally) I sat next to a very sweet guy on the plane who let me grab the arm rest in between our seats as we were taking off. As he saw I was very nervous, we started talking to discover that we were both from So Cal. In New Orleans, my best friends and I sat next to sweet, 4 year old Genevive on our swamp tour. She sang The Beatles to us in her adorable accent while showing us her teddy bear the entire tour. All of these people and many more have made my experiences all the better. Traveling is amazing for so many reasons but the people I have encountered will always be a memorable part of the experience. Tell me: Do you have memorable interactions with new people while traveling? Have you continued contact with any of them after your trip?